A Business Plan is a formal document that is used to outline all the aspects of a business. This document typically contains: a Company Summary, a Market Analysis Summary and a Financial Plan. 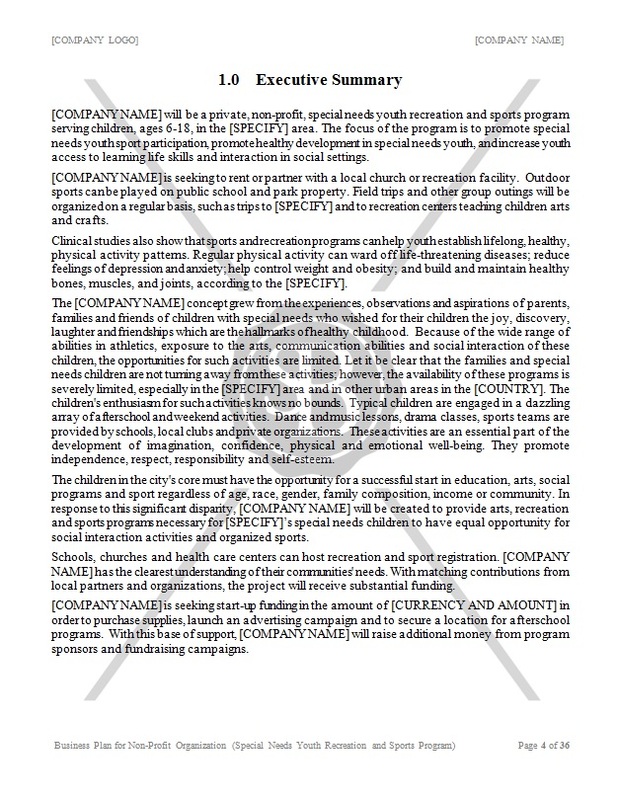 This template is intended for a non-profit organization that seeks to increase youth access to learning life skills and interaction in social settings.